At Dorian Maples & Associates, we care for you and your loved one, offering support and navigation through the process of managing the care for your family member. If you are out of state, unsure about what care would be best, or are unsure which facilities can meet the medical and health related needs of your loved one.... we can help be your liaison, advocate and support system, ensuring the highest quality care to our clients, your loved ones. Choosing a long term care service for a loved one can be a stressful and overwhelming process. Dorian Maples & Associates can help. Our professional geriatric care management team assists families who are in need of guidance with the process of choosing long term care services for their loved one. Dorian’s career has been devoted to caring for older adults and persons with disabilities since 1979 when she became a Registered Nurse. Her nursing career took her on a management tract, which led her to obtaining a BA in Management and Communication. 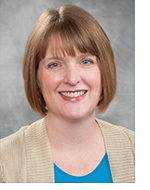 In 1996 she became the first Registered Nurse in the Indiana to be recognized as a full member of the National Association of Professional Geriatric Care Managers. In 2009, the Governor of Indiana appointed Dorian to serve on the state’s CHOICE board and she was recognized for her career accomplishments by her professional peers by winning the Nora J. McFarland Award for 2009. Ruth has worked in the Geriatric field in psychiatric outpatient therapy and long-term care settings since 1993. She has been active in the growth of the Auburn Angel Corps office since 2005, gaining knowledge in homecare for older adults and persons with disabilities. 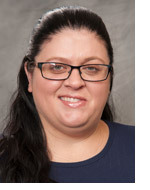 In addition to certification from the National Academy of Certified Care Managers, Ruth has a Master’s Degree in Psychology and is a Licensed Social Worker. 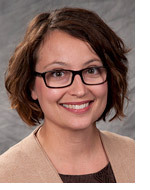 She is recognized as a full member of the National Association of Professional Geriatric Care Managers. In 2009, Ruth received her certification as an Eden At Home Trainer and supports the Eden movement to eliminate the three plagues of aging: helplessness, loneliness and boredom. Being a resource to educate her clients to the care options available to them related to their medical conditions, is a strong focus for her. Ruth’s passion lies with those who are experiencing the journey of dementia and assisting their loved ones with support, easing their caregiving stress. She is a past President of the local chapter of the Alzheimer’s Association. Ruth is a resident of Auburn, is a graduate of the DeKalb Leadership Program and is currently Past President of the DeKalb County Chamber Partnership Board of Directors. Katherine joined our team in April 2018 as a Life Care Coordinator. Her day to day activities vary greatly from coordinating payments for clients' bills, escorting clients to medical appointments, attending care plan meetings for clients who may be in a nursing home, to general support of the day-to-day affairs for each client. She started in this field in 2016 and graduated from the University of Saint Francis with a Bachelors of Social Work in May 2016. In September 2016, she obtained a Social Services Designee certification. Her favorite part of this position is the opportunity to grow and learn new things each and every day. She is passionate about helping the geriatric population in ways that allow them to live their days as best they can and loves to see them smile. In her spare time, she enjoys taking care of her two dogs. She also likes to read and enjoys learning new things on a regular basis. She resides in Allen County. 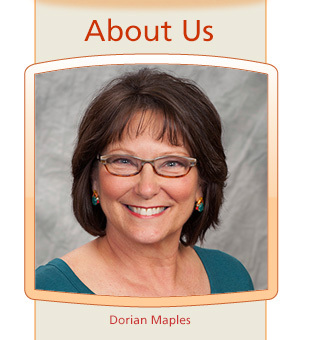 Chrystal is the Billing Coordinator for Dorian Maples & Associates. She earned her Associate of Applied Science Degree in Accounting. Since 2009, Chrystal has used her education and training to help nurture the rapidly growing business. 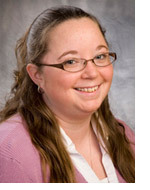 Chrystal is also the Billing Coordinator for its sister companies Home Nursing Services and Angel Corps. In her spare time, the love of nature is expressed by assisting her husband with maintaining a garden, caring for all animals and remodeling their home that they have pictured in their dreams. Chrystal truly believes life is beautiful and having been so diverse in hobbies and past time activities, she displays a love of what she does and takes deep passion for learning more on a daily basis. She always strives to make a difference with her work.